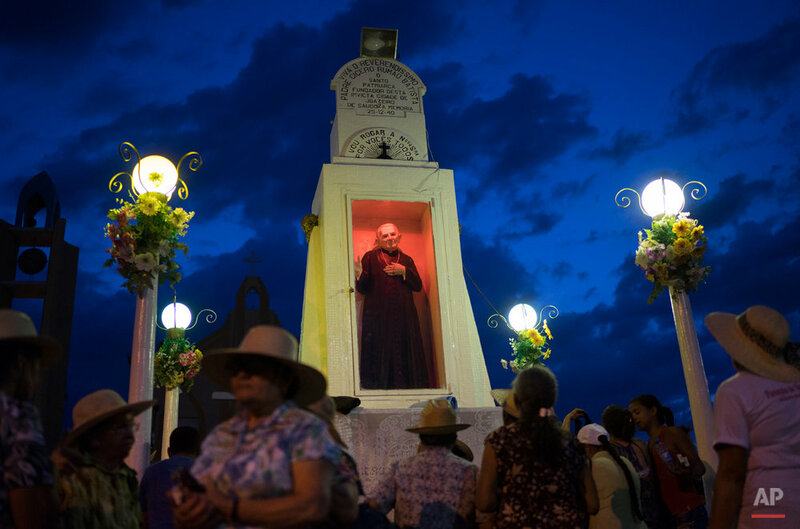 For almost a week, including the Day of the Dead, the Brazilian city of Juazeiro do Norte is filled with thousands of pilgrims who come to honor "Padre Cicero," a figure venerated here as a saint but not recognized as one by the Roman Catholic Church. The Rev. Cicero Romao Batista was born in 1844 and died at age 90 in this arid, impoverished part of northeast Brazil. His followers say that during a Mass celebrated by the priest in 1889, a woman receiving communion declared that the host had turned to blood in her mouth. People called it a miracle, but the Vatican was displeased and suspended Padre Cicero. 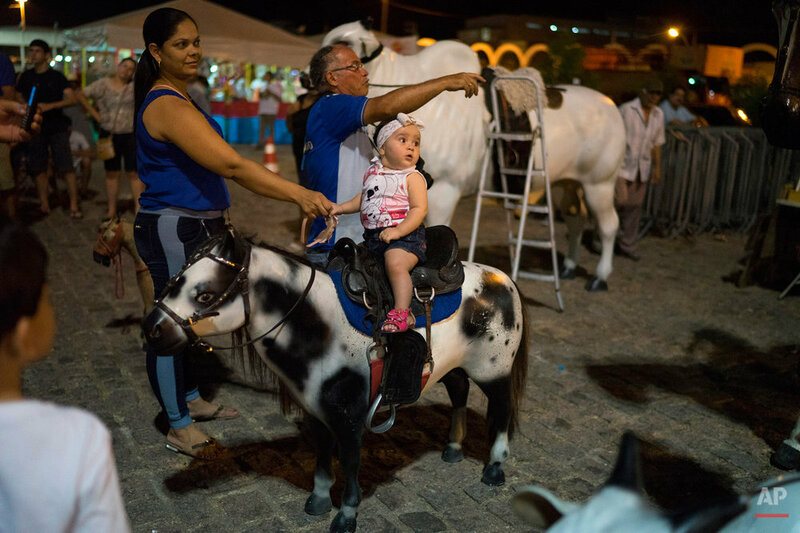 The local population kept on believing, and his followers have transformed Juazeiro do Norte into a place of pilgrimage, one of the leading centers of popular religiosity in Latin America with hundreds of thousands of visitors each year. 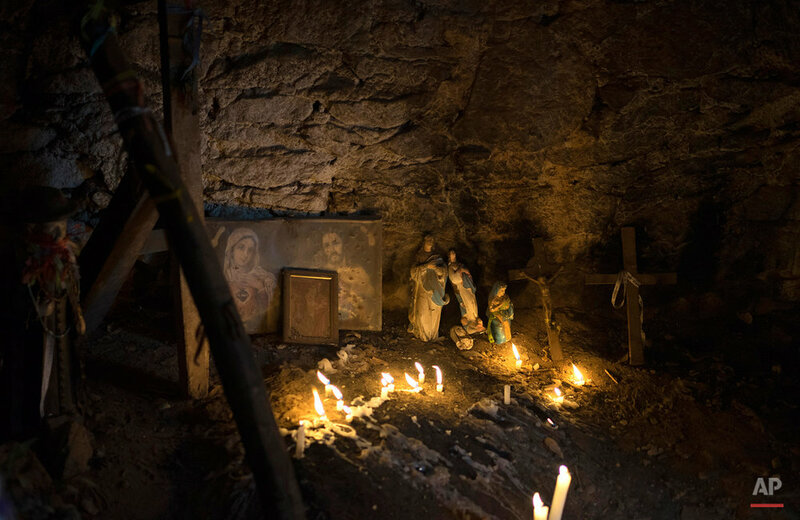 Pilgrims walk along a 2 kilometer (1 ½-mile) dirt path to get to the site of Padre Cicero's tomb, carrying pictures of him and crosses that have dangling, colorful ribbons. 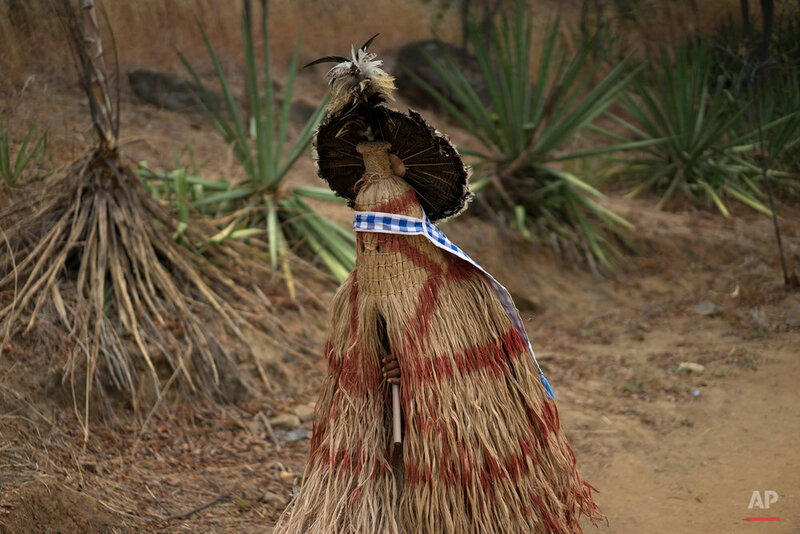 Members of the Pankararu tribe wear traditional outfits made from head to toe of a straw-like material. Some people also carry heavy rocks on their heads as a sacrifice. 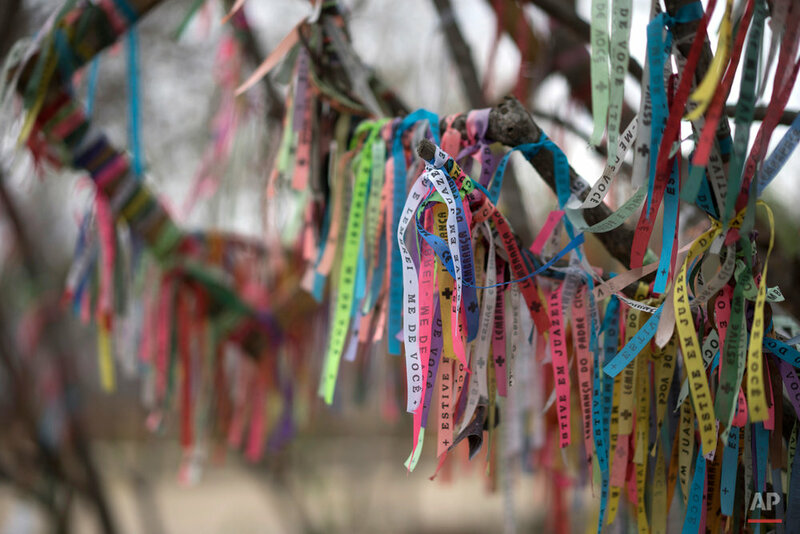 More ribbons mark the beginning of the trek, written with promises to the priest and tied to tree branches. 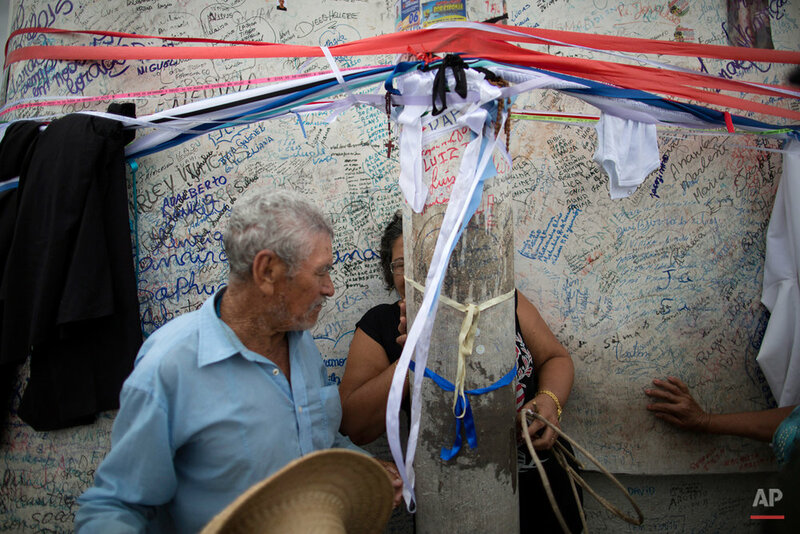 "I ask Padre Cicero to bless my harvest and my family," 56-year-old farmer Edite Moreira Monteiro said after kissing a small statue of the priest erected at the beginning of the path. "He gives me joy." Faced with Padre Cicero's persistent popularity, Pope Benedict XVI proposed that his life be studied as a possible candidate for canonization. That review is still in progress, and his supporters hope that he will eventually be rehabilitated and canonized. Padre Cicero was both a priest and a politician, serving as mayor of Juazeiro do Norte for 15 years. He became renowned for helping the poor and improving the lives of farmers and residents of Brazil's arid northeast. 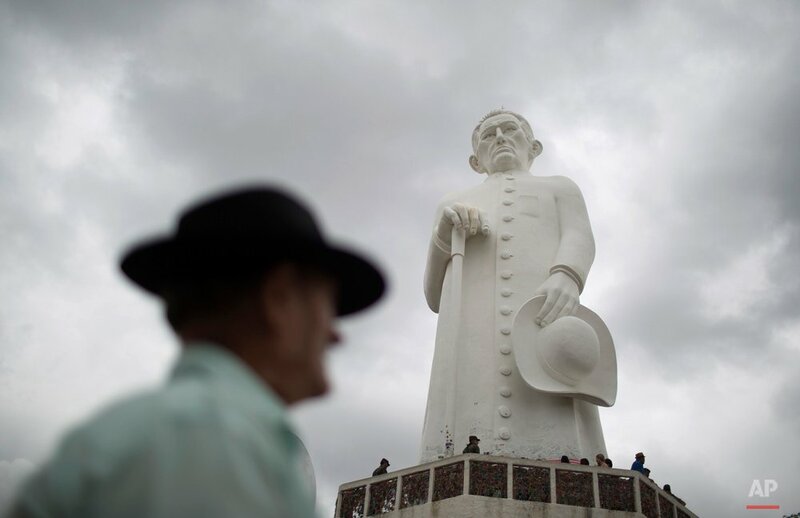 "We believe that he was — that he is — an important person for our northeast and we hope he can intercede (before God) and send rain," said Leunil Gomes de Carvalho, 36, from the city of Floresta, who said he has been visiting the statue of Padre Cicero since he was 6. 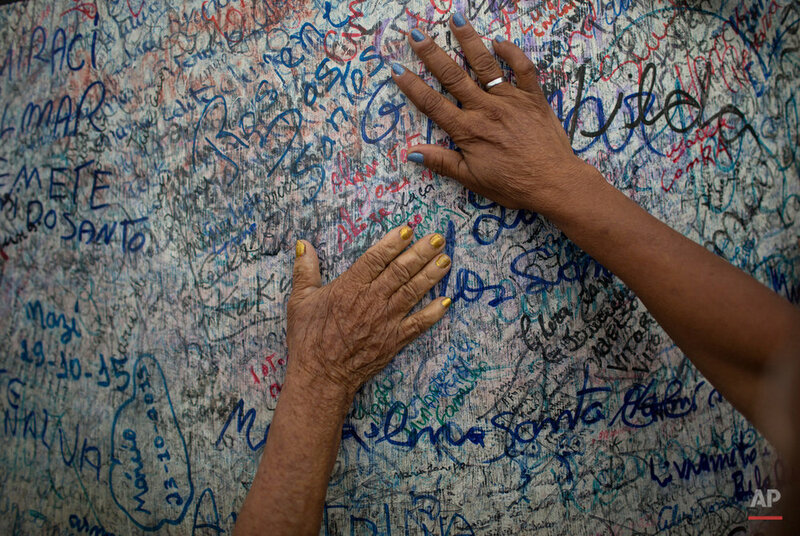 Like Gomes de Carvalho, hundreds of thousands of others visit the large statue each year, along with other, smaller statues and chapels built to remember the man who is considered the patron saint of this city in Ceara state. People line up to touch the large statue, some praying on their knees before it while beggars ask for a few coins. Others leave letters of gratitude to Padre Cicero, crediting him with miracles. Some walk around the statue three times in hopes of having a prayer answered. Nearby at a large rock called the "stone of sin," 28-year-old Zicelia Henrique dos Santos was dressed in white like Our Lady of Fatima. She passed through a narrow passage in the rock in a ritual she hoped would bring her a blessing. "I have come here since I was a child," she said, saying she was honoring a promise by her mother. "I was sick and I got cured." 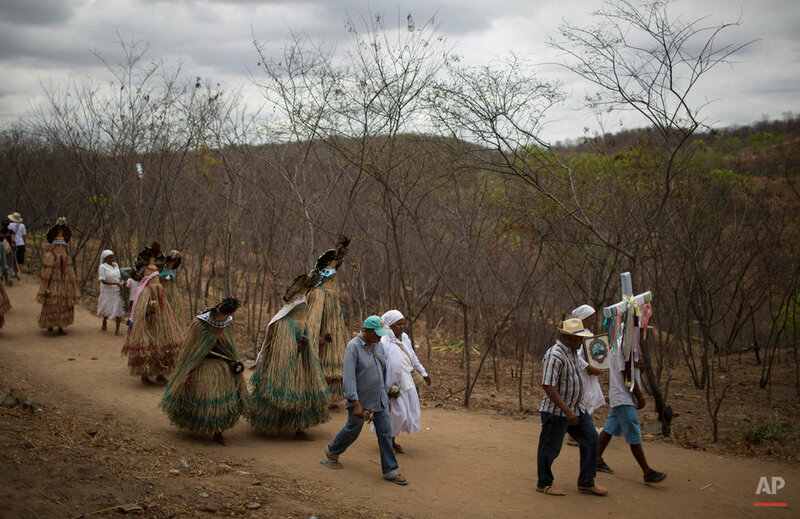 Text from the AP news story, AP PHOTOS: Pilgrims in northeast Brazil honor Padre Cicero, by Yesica Fisch and Leo Correa.